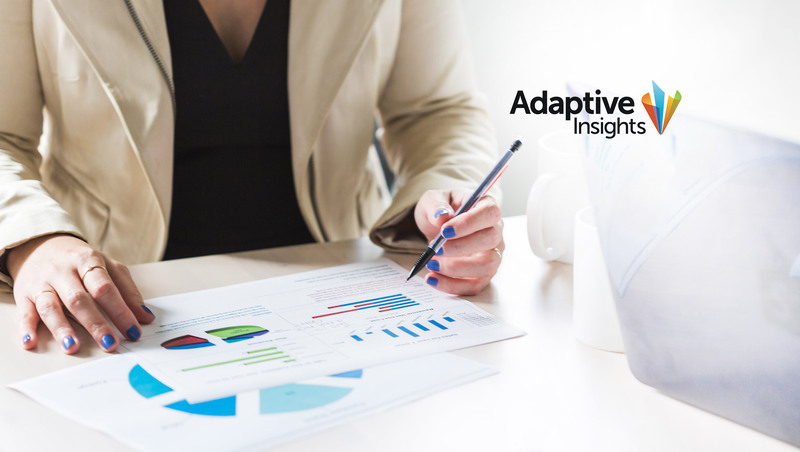 Adaptive Insights, powering a new generation of business planning, announced the winners of its annual Torchie Awards, created to honor innovators who have achieved excellence in business planning across their organizations. Torchie Award winners for 2018 are Harry’s, the Open Society Foundations, Airlines Reporting Corp., Maritz, and First West Credit Union. The Torchie Awards presentation is a highlight of Adaptive Live, the annual global gathering of business planning professionals. A record audience of 1,500 industry professionals representing 570 organizations attended Adaptive Live 2018 in Las Vegas. This year’s Torchie Award honorees represent significant achievements in key transformational aspects of the Customer Journey Program, also announced at Adaptive Live. The disruptive force in men’s care products and services has implemented disruptive planning processes in its own business—for budgeting, forecasting, analysis, and reporting. Harry’s aims to further advance its planning journey by automating additional processes including operational key performance indicators (KPIs), long-term planning, and additional analytics. The Open Society Foundations (OSF) work to build vibrant and tolerant democracies whose governments are accountable and open to the participation of all people. By recognizing that “everybody plans,” OSF has extended its Adaptive Insights planning environment to more than 350 people worldwide, including functional managers, finance and other operational units, OSF management, and the OSF board. The premier driver of air travel intelligence and commerce, Airlines Reporting Corp. (ARC) maintains an already robust model incorporating workforce and expense planning, financial statements, and operational models for sales, marketing, and services. In the next year, ARC will advance its modeling journey to include expanded workforce, margin, and services modeling. Maritz, whose diverse companies provide incentive management, recognition, meeting planning, customer loyalty, and customer experience solutions, engages in business planning using data from various sources. It integrates either directly or indirectly with its HR system, multiple CRM systems, various modules within its Oracle ERP system, and other third-party sources. This annual Torchie Award recognizes an exemplary member of Torchbearers, Adaptive Insights’ customer community where members share and learn best practices, exchange tips, and tricks, and influence future product design. Michael LaPierre of First West Credit Union earned this Torchie Award for his non-stop engagement in the Torchbearers community, offering insights and expertise for modern planning strategies and execution.